The recently released Smart Socket plugs into any standard E26 or E27 socket, and will drive any bulb up to 25 watts -- making it more suited to LED and CFL bulbs than incandescent ones. Fully HomeKit compatible, the hardware and app allows for schedule setting, use in Scenes, Siri control, and control from outside the house, when used in conjunction with a HomeKit Hub. The app allows for monitoring of real-time, daily, and monthly power consumption of the bulb in the socket. Where are we going to put this? The Koogeek Smart Socket is designed to be slotted in a standard Edison socket. but adds too much height for most free-standing lamps we tried it with. 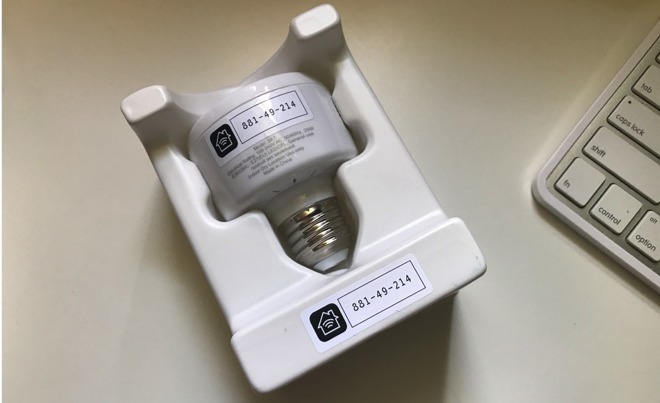 Either the shade grabs the bulb itself, positioning it too high and casting a strange light about the house, or the mount for the shade sits above where the bulb would go, with it physically preventing the bulb from sitting in the socket. It also adds too much extra length to be used effectively in recessed lighting, without the bulb sticking out a bit. Strike one. This really leaves only floor-standing torchieres with larger hoods or lamps hanging from the ceiling as the best place to use the socket. Okay, compatible lamp found, now what? Simply enough, the Koogeek Smart Socket does what it says it will do. After registering the bulb with the iPhone's camera, it will take a command from an app, and turn on or off. However, that's where the precision in execution ends. The Koogeek app itself is a mess, with either bad translations or lack of attention to detail scattered all over. For instance, it will alert you to a firmware update with a notification, and launch the app if you tap on it. 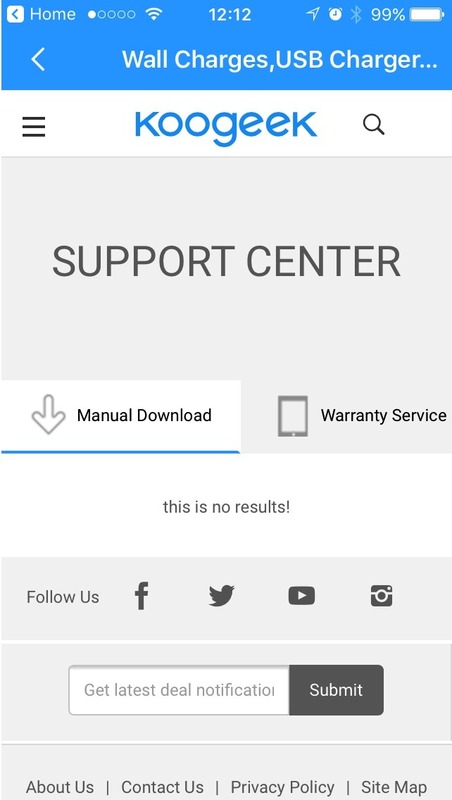 However, there's no clear way to start the firmware update. 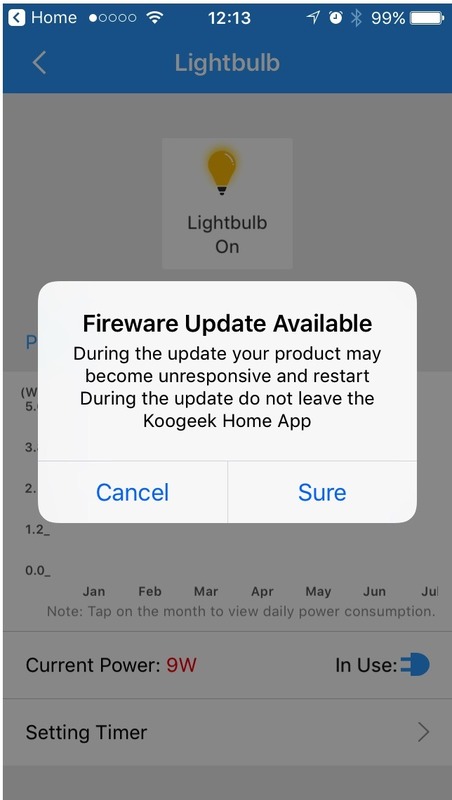 Even after we performed the firmware update days ago, the app still hasn't passed the notification that the firmware update has been done to Apple's Home app. If the bulb is manually turned off electrically by a switch, the Smart Socket re-connects the electrical contacts and the bulb will turn back on, regardless of app setting -- which is good, and how it should work. However, it takes some time to update its status to either Apple's Home app, or the Koogeek app. Our advice if you use the Smart Socket? Stick with Apple's Home app -- add the accessory in the Koogeek app, and forget you've got it afterwards. Strike two -- but at least its a foul tip. So, no to HomeKit, or no to the Smart Socket? 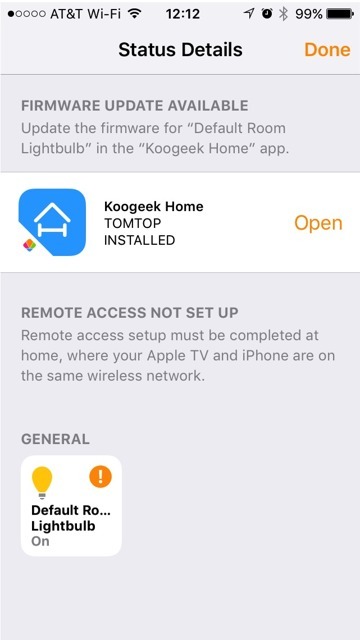 HomeKit is best as an all-or-nothing system, with everybody in the house educated on how the system works. 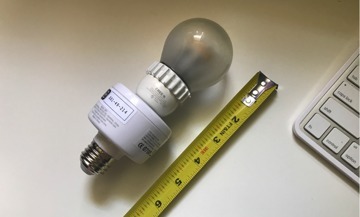 The most refined smart bulb setups can be defeated by a light's power switch killing power to the peripheral by a well-intentioned guest -- and the Koogeek's attempt to turn a regular bulb into a smart one is no exception. Putting the ball in play, the Koogeek Smart Socket is an inexpensive canary in the coal mine, to see if HomeKit will work at all for you. It's worth getting one before you drop hundreds or thousands of dollars on an integrated system with specific wall-mounted light sockets to bypass power cut-off issues. We're just not sure that the KooGeek Smart Socket will stay in your system, if you ultimately decide you want HomeKit in your life. Continuing the baseball metaphor, this is the equivalent of a single that got legged out because of wet grass or other extenuating factor -- and sure isn't a home run. 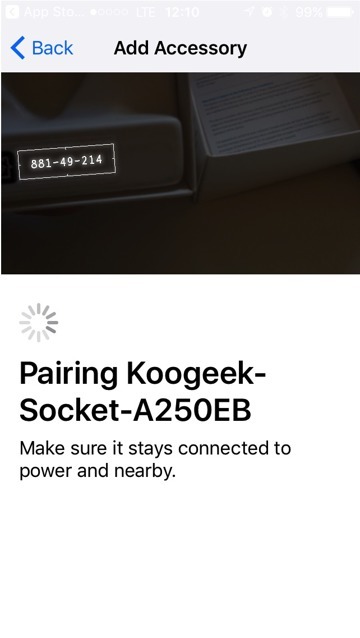 AppleInsider rates the $40 Koogeek Smart Socket a two out of five -- but only most of that rating is the manufacturer's fault. If you're going to use HomeKit devices, realize that you don't always want to go to your phone to turn a light on or off. If somebody has turned off power to the socket at the wall, there is no touch screen command that will turn it back on. Also, clean up the app, Koogeek! The Koogeek Smart Plug is a better choice overall for nascent HomeKit buyers in every regard -- and a different review. Excellent review. For roughly the same price I have the iHome iSP5 smart plug with lamps and a fan being controlled. A fan in the loft area as well as a LED rope light in the same area are easily controlled without having to climb the stairs. yeah I looked at one of these sockets as well, but in the end decided of the bulk and height was just too impractical. 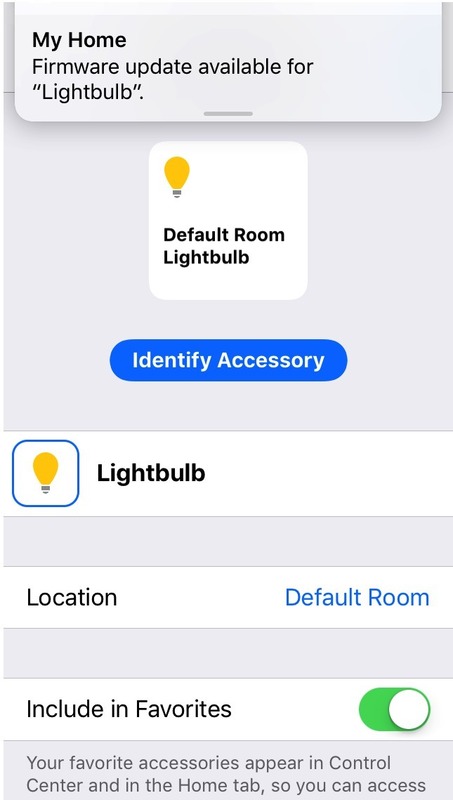 i have a wall plug instead, but this is also not without its downside -- can't use the lamp's physical turn switch to turn on or off, only Homekit or the very slow Siri (on my series 0 watch - fugghet about it). for convenence my Hue bulbs are the best since they allow app or physical switch use. but they are too dim... my bedroom reading lamp uses a very high lumen bulb and i have yet to find a smart equivalent for. I don't have a Smart Socket but I do have Koogeek's Smart Plug. It's is a very good product and is usually available from around $25 if you shop (try dealnews.com). My friends and I have a total of 10 of them. They have worked great. I'm able to control via automation and remotely using my Apple TV 4 as a hub. I didn't notice any issues with the Koogeek App. Version 2 was recently released so maybe version 1 was reviewed. I was able to update the firmware without getting the update message continuously. Adding the devices is very easy.